Bear Davis is entering his sixth season with the Machine. 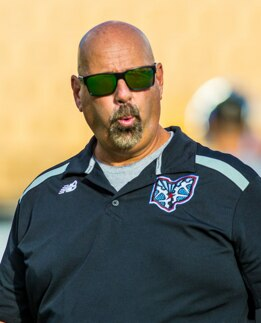 Davis, a Hilliard High School alum, joined the Machine on June 24, 2013, when he was named the second head coach in club history. He was promoted to a General Manager role for the Machine on August 20, 2016. In 2016, Davis led the Machine to an 8-6 record and a spot in the MLL Championship Semi-finals. After a win against Charlotte in the semi-final, the Machine faced off against the Denver Outlaws for the Championship. Unfortunately, after a back and forth battle, the Machine lost to Denver. In 2014, Davis led the Machine to an 8-6 regular season record and guided the team to its first-ever playoff appearance. The Machine’s six-game improvement over its 2013 record is tied for the largest single-season turnaround in Major League Lacrosse history. Under Davis, the Machine posted the top-ranked offense in Major League Lacrosse in 2014. The team ended the regular season with five straight wins, which tied for the longest winning streak in MLL that season. On offense, the Machine boasted four players that scored 27 or more goals, a feat that hadn’t been accomplished in the league since the 2004 season. Davis was the runner-up for the Brine Coach of the Year award in 2014 and 2015. Prior to joining the Machine full-time, Davis was the head boy’s lacrosse coach and associate athletic director at Archbishop Spalding High School (Md.). Davis took over at Archbishop Spalding after building the men’s lacrosse program at Robert Morris University over the span of seven seasons as the program’s first-ever head coach. Robert Morris led the NCAA in scoring offense for two straight seasons under Davis. Prior to Robert Morris, Davis helped start the Wheeling Jesuit men’s lacrosse program and guided the Cardinals to a No. 10 national ranking in 2003. In addition to his responsibilities as the head coach, Davis is instrumental in expanding the Machine’s ticket sales and community relations efforts. In addition to handling the Ohio Machine, Davis will also be serving as the Vice President of Community Relations, heading COYLL (Central Ohio Youth Lacrosse League). Davis took over COYLL in 2016 and is excited to continue his improvement to the game of lacrosse throughout the Midwest. Nat St. Laurent will return for his fourth season with the Machine and third as defensive coordinator. 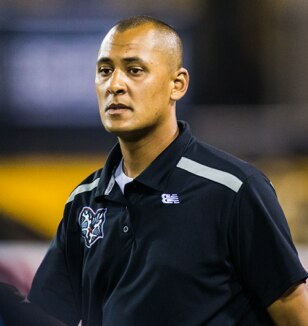 St. Laurent is responsible for coordinating the defensive unit of the team, including practice, game planning, and management. St. Laurent will be in his second season as the head coach of the Ohio Northern Polar Bears, continuing to excel the team as it entered its second year as a Division III program. Prior to ONU, St. Laurent worked for four seasons as an assistant lacrosse coach at Washington and Lee Generals (Va.), where he served as offensive coordinator. Under St. Laurent, the Generals posted a 35-21 record with two trips to the ODAC Tournament finals and a bid to the 2013 NCAA Division III Tournament. He coached eight All-ODAC honorees, two All-Americans and the ODAC Rookie of the Year while at W&L. Nat and his wife, Cristin, have two daughters, Jaylin and Janessa and a son, Jamarcus. Darryl Delia is back with the Ohio Machine serving as Offensive Coordinator for a third straight year. Delia is responsible for coordinating the offensive unit of the team, including practice, game planning, and management. Delia is continuing into his fifth year with the Albertus Magnus College men’s lacrosse program. 2016 was a record-setting season for the Albertus Magnus College men's lacrosse team as the Falcons ended the year a 4-10 overall record and finished eighth in the GNAC. The team set a new school record with four wins as AMC scored victories against Anna Maria, Wheelock, Emerson and Mount St. Vincent. He also coached the program's first-ever Academic All-American who was ranked in the top-five of the country in scoring. Currently, Delia is the Executive Director of DSquared Lacrosse, a clinic/camp program based out of Connecticut, and also a Director of Lacrosse at the CT Speed School and co-owner of Run & Shoot Lacrosse. Delia is employed full-time as a lacrosse/team sales representative for Lids Team Sports. Eric Genova joins the Ohio Machine after many successful seasons coaching at the NCAA DI level, and having won a world championship with Team USA in 2010 at the FIL World Championships in Manchester England. At Cornell University, Genova coached for the Big Red program that captured back-to-back Ivy League Championships. The 2007 team enjoyed an undefeated regular season and advanced all the way to the national semifinals at the NCAA Tournament. Genova worked with the Big Red faceoff unit, helping the team improve from 42-percent efficiency at the X in 2006 to 61 percent in 2008, the third-best figure in the nation. Genova also worked with Cornell's scout team offense. Genova's efforts at Cornell were formally recognized at the team's 2008 postseason awards banquet, where he was presented the Dave Friedleb Memorial Award, given by the Cornell lacrosse community to the person or persons, "whose enthusiasm, assistance, interest and compassion for the Cornell lacrosse team are greatly appreciated." At Bucknell University, Genova was part of a Bison team that earned an undefeated regular season Patriot League Championship. His work with the Bucknell face-off unit helped Jake Clarke, a player who was new to facing off, reach #1 in the country statistically during that season. Genova's other responsibilities included recruiting, offensive and defensive management, and he was in charge of substitutions. Genova also earned a tour with the US National team in 2010. With Genova on staff, Team USA won the FIL World Championships, defeating Canada 12-10 in Manchester, England. Prior to joining the Cornell staff, Genova was the Head Lacrosse Coach at Smoky Hill High School in Aurora, Colorado from 2004-06 and the Assistant Coach there in 2003. He was nominated for Head Coach of the Year honors in 2005, and his team received the Ken Ranta CHSAA Sportsmanship and Leadership Award in 2006. 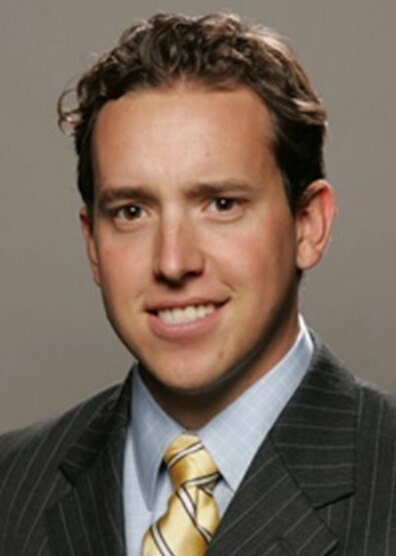 In 2010 Genova joined the Loyola Academy Chicago varsity staff. In his 8 years with the Ramblers he has enjoyed being part of 7 state finalist appearances and most recently 3 state championship crowns. Genova is a native of Denver Colorado and a graduate of the University of Denver.